Whether you are spending Thanksgiving dinner at your home or somewhere else, we are approaching the season of holiday parties. It's always nice to bring a little something for the hostess in appreciation of her efforts for a gracious gathering. 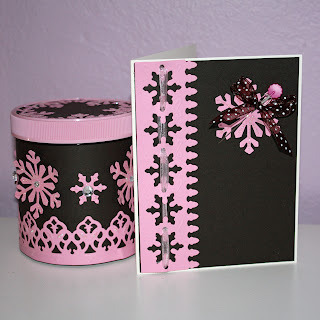 So here is a lovely thank you card and hostess gift to take along. 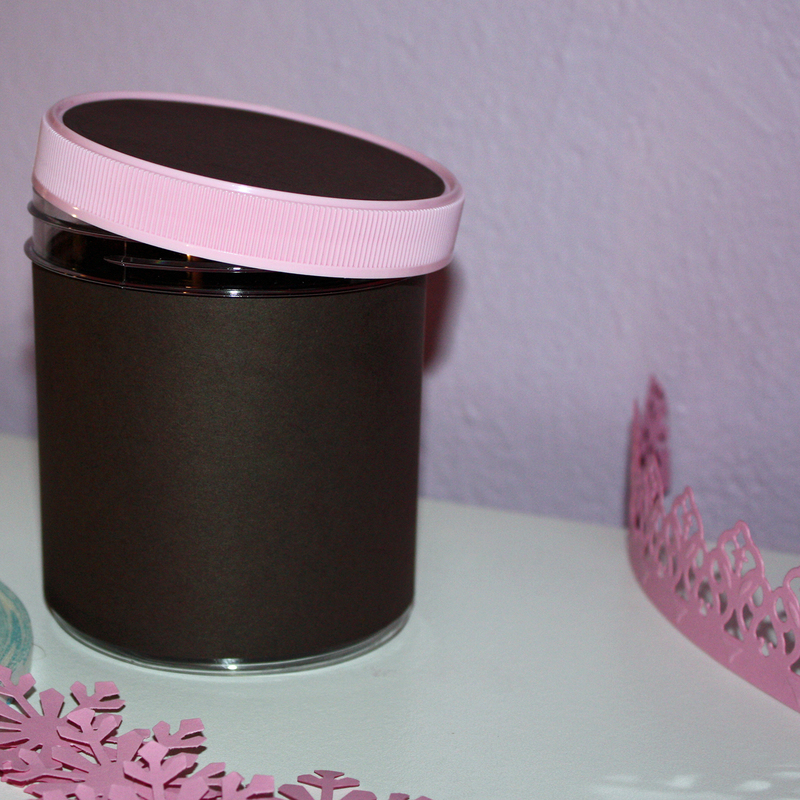 The gift container began as a humble gelato container and now it can hold just about any kind of treat you want, home made or store bought. 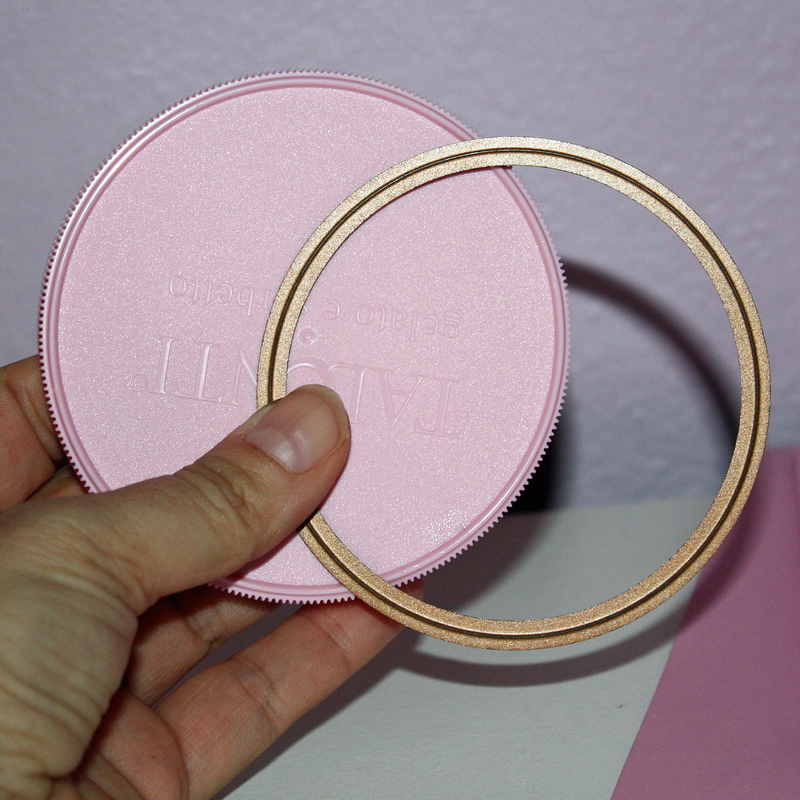 You can see how the Pop Tone Cotton Candy card stock matches the lid perfectly. I was so excited about that! I began by covering the container. I recommend using double sided tape on the top edge of the border paper so it can "absorb" any shaping issues. Then use a piece down the short edge. 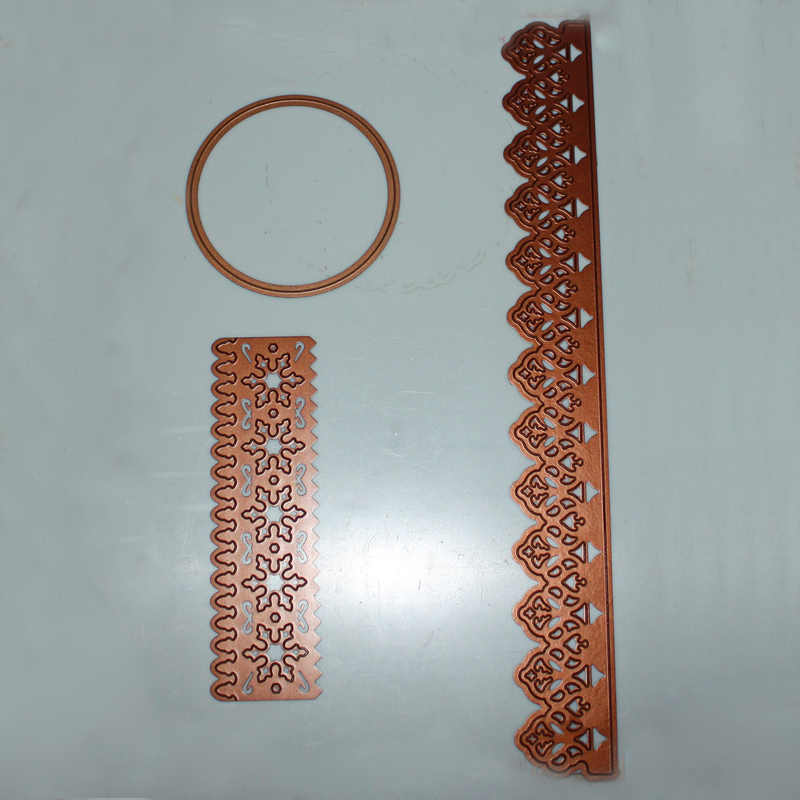 The photo below shows the die template I chose for the size of the lid (S4-114 Standard Circles LG). I cut it from Basis Brown. You could also measure it and use a computerized cutter or any one of the awesome circle cutters or punches out there. Here the bin is covered, now let's "fuss it up." 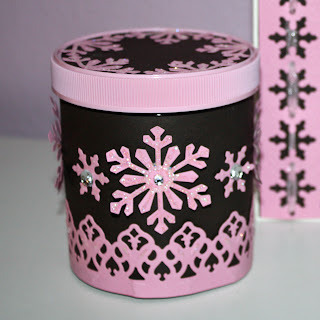 Using Cotton Candy again, die cutS7-014 Classic Lace die template and S4-224 Snowflake Border. Also punch 6-10 large snowflakes. 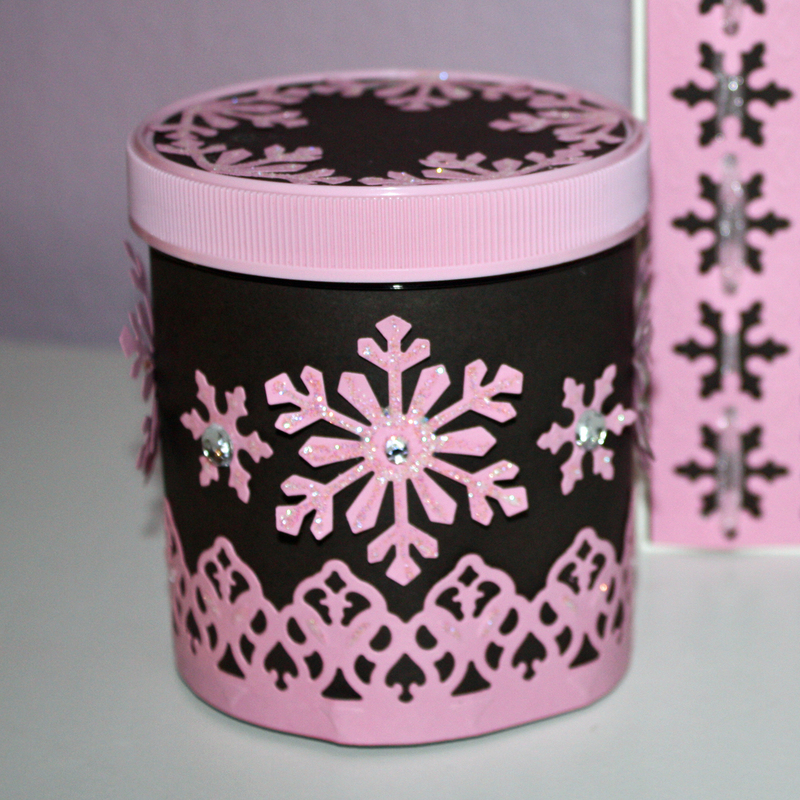 I wasn't sure how exactly to layout the snowflakes but realized I could "try it out" on my desk. 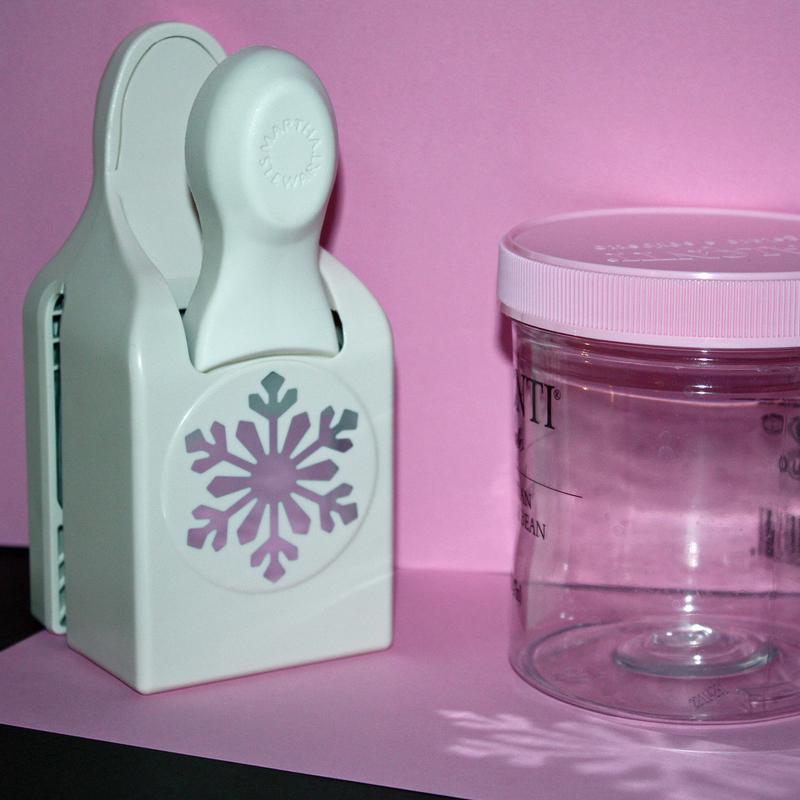 Here are two examples that I designed. 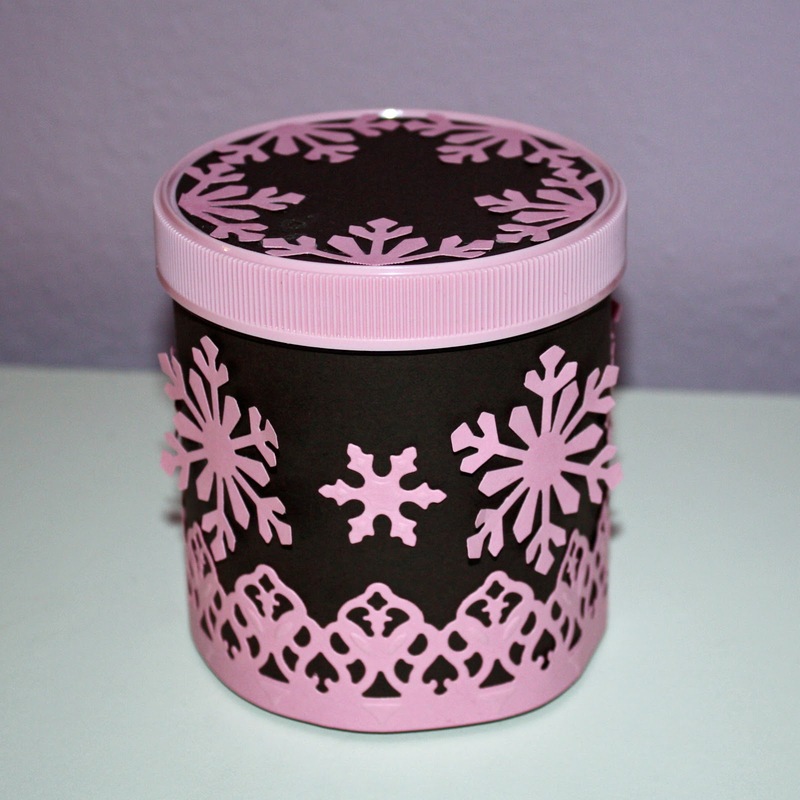 I chose the top version and used the extra snowflakes, cut into smaller pieces, to decorate the lid. 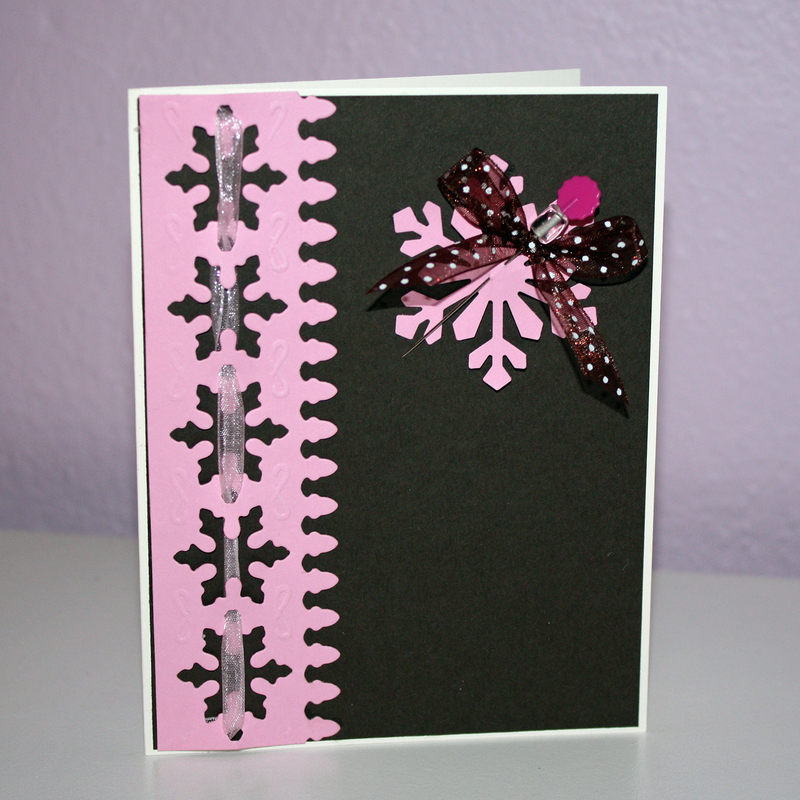 Now, for the card, I used the border that made the small snowflakes that you see from the die cut board. 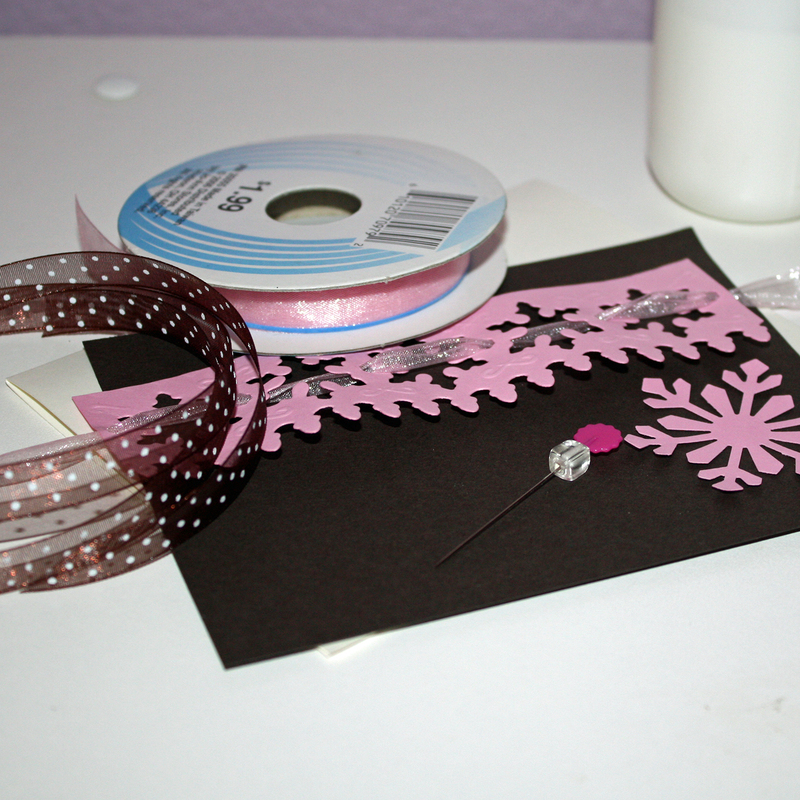 In between each of the snowflakes was a hole in which I threaded ribbon. I assembled the card on the Basis Brown, and then onto the Basis Natural card back. They are nice but I felt like they were missing something--glitter glue! YES!! Then they became this...just what it needed, don't you think. As we approach the winter break, think about teachers and other professionals who might feel the spirit of the season if they received a gift like this. Sounds like an assembly line just might be in order.